Michael Southworth is Professor of City and Regional Planning and Landscape Architecture and Environmental Planning at the University of California, Berkeley, and editor for the Journal of Urban Design (msouthw@berkeley.edu). For over five decades developers, homebuyers, and traffic engineers have favored the cul-de-sac, a basic building block of the American suburb. 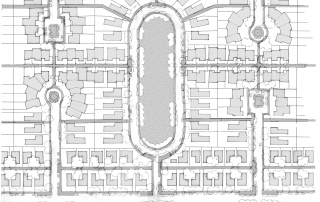 Despite its popular success, the “loops and lollipops” street pattern has been repeatedly criticized by many leading architects and planners, particularly New Urbanists, who strongly advocate the inter- connected gridiron pattern. The cul-de-sac has come to symbolize all the problems of suburbia— an isolated, insular enclave, set in a formless sprawl of similar enclaves, separated socially and physically from the larger world, and dependent upon the automobile for its survival. Nevertheless, much can be said in favor of the cul-de-sac street as a pattern for neighborhood space. Many people find the prospect of travel by public transit complex and unpredictable, rather than inviting. 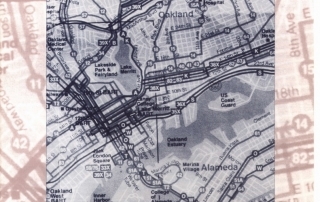 Riders must be able to read English, understand complex route maps and schedules, and figure out fares. Some must be able to use electronic ticket and information devices. These systems may seem simple, but many transit users have difficulty making sense of the transit information that’s usually available. Most systems ignore the special needs of children, foreigners, and users who are illiterate, sight-impaired, hearing-impaired, or otherwise disabled.